The Public Petition dated 11-11-1839 initiated the establishment of Madras University. It was in January 1840 with Mr.George Norton as its President, that the University Board was constituted. In 1854 after a lapse of 14 years, the Government of India formulated a systematic educational policy for India and as a sequel to this on 5th September 1857 by an Act of Legislative Council of India, the University was established. The University was organised in the model of London University. 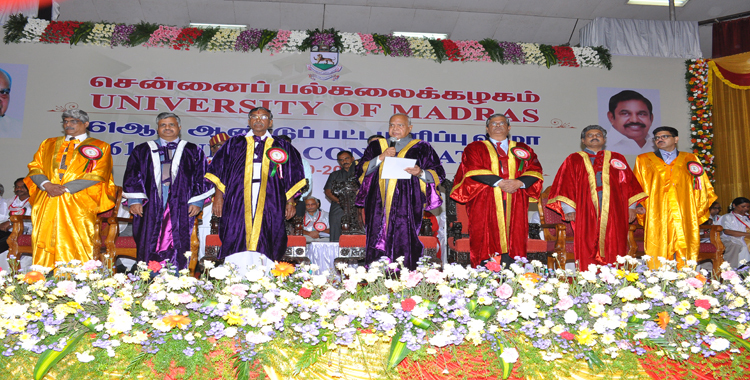 I deem it an honour and privilege to be the Vice-Chancellor of the University of Madras, one of the oldest and prestigious universities in India. It is indeed an opportunity to serve a large academic community of University Departments, Affiliated Colleges and Research Institutions. The University is proud to have several illustrious alumni as Nobel Laureates, Presidents of India, Statesmen, Chief Justice of India, Ministers, Administrators, Distinguished Researchers and Academicians. It has been accredited by NAAC with a high grade consecutively in the three accreditation cycles, and in the 3rd cycle accredited with ‘A+’ grade. It is recognised as one of the first five Universities for the UGC’s prestigious programme, “University with Potential of Excellence (UPE)”. Many of the University departments are recognised for funding and research support from UGC, DST, DBT, CSIR, ICSSR, ICHR, Central and State governments among others and international agencies. Further, the University has been collaborating with Indian and Foreign Universities to promote student and teacher exchange programmes. 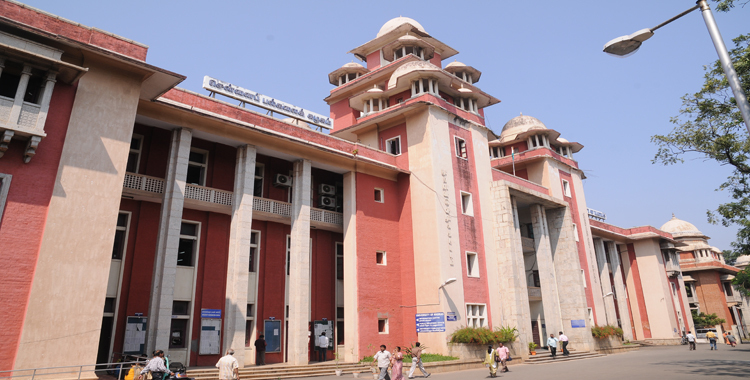 It is a matter of pride that 9 colleges under the University have featured in the top 100 list of the National Institutional Ranking Framework (NIRF) 2017 and this is also the highest among all Universities in Tamil Nadu. The University also has a large number of colleges accredited with high grade A and A+ by NAAC. 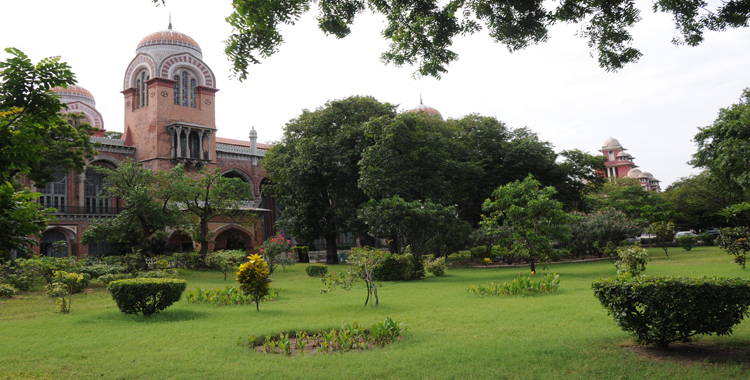 The University of Madras is a pioneer in granting autonomy to Colleges as early as 1978 and currently there are 23 Autonomous Colleges affiliated to the University. I am confident that we will continue to uphold our pre-eminence in teaching and research and our University will soon make it to one of the top educational institutions in the country. I am happy to welcome the freshers to this great portal for higher education. You should feel proud of belonging to a glorious University in the country. The University has good infrastructure facilities, learning resources, highly qualified faculty and committed staff. I am happy to state that the University plays a vital role in providing high quality higher education in India. We offer flexible curriculum under Choice Based Credit System with a large number of electives and core courses to strengthen your skills and make you employable. The core courses are specially designed to take you to advanced levels in academics and prepare you for career or higher studies. Our programs are aimed at broadening and deepening your knowledge in the chosen field. The University also offers scope for engaging in several extra and co-curricular activities.We have high expectations from our students. We urge you to use this opportunity to perform well in academics and also act with highest level of academic integrity and honour. I best wishes to all our students for productive learning experience and our teachers to excel in their academic endeavours.